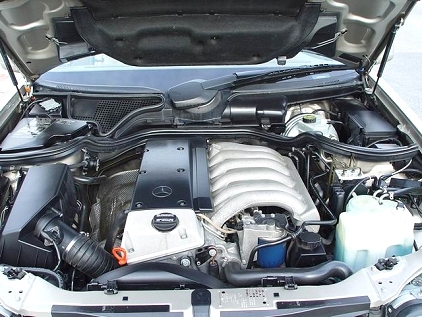 Diesel engines are more efficient than their gasoline-powered counterparts. My car has plenty of pep (it's turbo charged, which helps) but it also gets 35 MPG on the highway. The cost of diesel fuel is almost always cheaper than regular unleaded gasoline. Diesel engines last a long time (I really like things that are built to last) and they are very reliable. Diesel engines produce less greenhouse gases than comparable gasoline engines. A diesel engine can be converted to run on used cooking oil, believe it or not. I used to feel so smart driving down the highway in my diesel, saving on fuel costs, going 600+ miles on a single tank of fuel, doing my part to help save the planet and reduce America's dependence on crude oil. Now I feel like a sucker with my diesel! When gas prices started rising, so did the cost of diesel fuel. But then, as gas prices retreated, the cost of diesel fuel remained high. So now, the average cost for a gallon of diesel in my area is about the same or even higher than the cost of medium-grade unleaded gasoline. Lame! Furthermore, a new diesel formulation has been rolled out across the country. The new low and ultra-low sulfur diesel is even more environment-friendly than the diesel I was pumping a few months ago, which is great for the environment, but terrible for my car. Why? Because when you take the sulfur out of the diesel, the fuel looses its lubricity (slickness), and it's the lubricity that keeps vital parts lubricated (like the fuel pump) and keeps the seals along the fuel line in good shape. As soon as I started pumping the reformulated diesel into my car, I started to notice small pools of diesel fuel underneath the engine compartment whenever I parked the car and left it for 6 hours or so. The leak was caused by unlubricated seals shrinking. So this new environment-friendly diesel was causing fuel to spill out my car, which is not a very environment-friendly thing to do. Have you ever poured diesel onto some grass? The grass will die, and nothing will grow in that spot until the soil is replaced! I have no idea what other damage has been done to vital engine components as a result of using the new diesel. So now, on top of having to pay more at the pump for diesel fuel, I have to use a fuel additive that contains lubricants my cars needs to function properly. I have to use the additive every time I fill my tank, which means I have to spend an extra $7 every time I refuel. I hate it when a good thing blows up in my face!